It’s a weird feeling going from somebody nobody knows to suddenly being swarmed at Whole Foods while trying to pick up a few last minute groceries for dinner! But as the old saying goes, there’s no such thing as an overnight success. Whenever you see someone successful or famous, despite how easy the media might make their shoot to stardom look, it’s far more likely to be the result of many years of hard work, careful strategy, and overcoming multiple setbacks. Starring on our own reality TV show Flip or Flop and building our real estate investment school, Success Path Education, has been no different for us. While our success hasn’t exactly been overnight, it’s definitely skyrocketed, in large part due to social media. Word of mouth really does travel online, and people crave interaction – real interaction – with the people they see on television outside of watching the programs. Using social media is a perfect fit for me because I love posting new ideas to Instagram or giving our fans updates or sneak peeks via Facebook. But leveraging social media to build your business doesn’t come naturally for everyone, so I thought I’d outline some of our best social media tips to help you grow your business. There’s nothing worse than trying to connect with a business and clicking on their Facebook page only to find they haven’t updated their profile in months. It speaks volumes about a company. Don’t try to spread yourself thinly across all social media platforms. Pick one, such as Facebook, LinkedIn or Google Plus and use it well. Each social media platform serves a different purpose and attracts a different audience and level of interaction. Our fans on Facebook are the most conversational and engaged. Our fans on Instagram love it when we post multiple photos a day, but we don’t expect them to write long messages. Our followers on Twitter tend not to say much but very often “retweet” whatever it is we’re talking about. 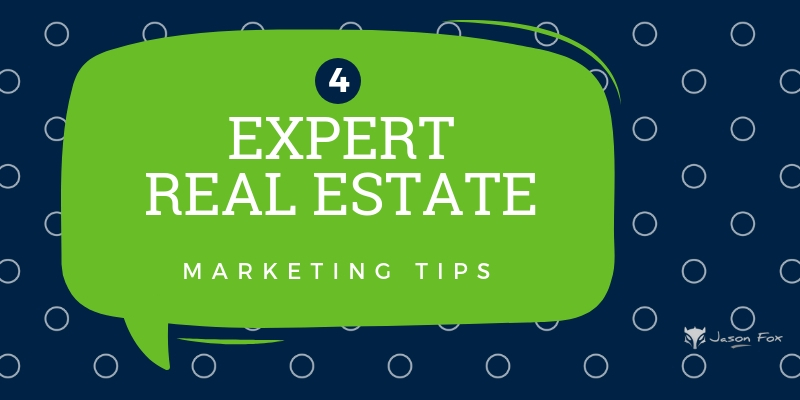 When picking which social media platform to start with, choose the one that most excites you and the one where most of your prospective sellers and buyers are likely to hang out. Fans crave real time interaction, sometimes multiple times a day. If I have a lot going on, I might post five or six times in a day! I’m not saying that you have to post as often as this, but the more often you post, the more opportunities for your fans to interact with you. Post frequency also depends on which social platform you’re using. For instance, I might Tweet 10 times in one day, but I wouldn’t post that many times on Facebook in a single day. One of the best things you can do is to like posts and respond to comments. It’s a great way to give your followers validation and to make them feel valued and important. Do this and it’s a sure bet that they’ll feel encouraged to post more and hopefully share more of your posts with their own audiences, helping your posts go viral. I’m sure you’ve seen those social media profiles where all the person does is pitch their goods or services. Nothing will make you lose followers faster. The whole point of social media is to start some kind of a conversation and relationship with your followers – and that always begins by posting content that’s interesting to them and that they can relate to. It’s ok to add a soft pitch to your postings but it should be no more often than a 6:1 ratio – at least 6 interesting posts to one soft sales pitch. I see a lot of small business owners (not just real estate entrepreneurs) jump into social media with a lot of enthusiasm. But then you read their posts and they’re dead boring, or they post content they think they should be posting but it’s content that could be posted by anyone and doesn’t help you to feel like you’re building a relationship with them. Be yourself on social media and post content that you genuinely like, not that you feel obligated to post. Now when I say “be yourself,” I obviously mean you have to be your professional self – you don’t want prospective buyers or sellers seeing you staggering into a taxi on a Friday evening and you shouldn’t post rude jokes. Be professional but be authentic, always. Use these 5 social media rules in your business and it will help you build your revenue, your professional reputation, and your brand. No matter where you are with your understanding of digital marketing, it’s never too late to choose one social media platform to start posting regularly on. Remember, Tarek and I built our fan base one fan at a time – and you can do the same. Christina El Moussa is the co-star of HGTV’s most popular real estate reality TV show Flip or Flop along with her husband and business partner Tarek El Moussa. The couple started Success Path Education and teach students from all over the country how to successfully find and flip houses and invest in real estate. Tracy that is a great point… This was a guest post for us but we will convey your concern. Thank you.